Make your resources go the distance with engineered solutions. With today’s failing infrastructure, a critical tool in the pavement manager’s toolbox is the reuse of valuable existing resources. Research shows that powerful technologies behind recycling and reclamation treatments offer triple benefits of major economic savings, reduced environmental impact, and precision engineering for stronger, smarter roads. Your greatest resource is the pavement you’ve already paid for. 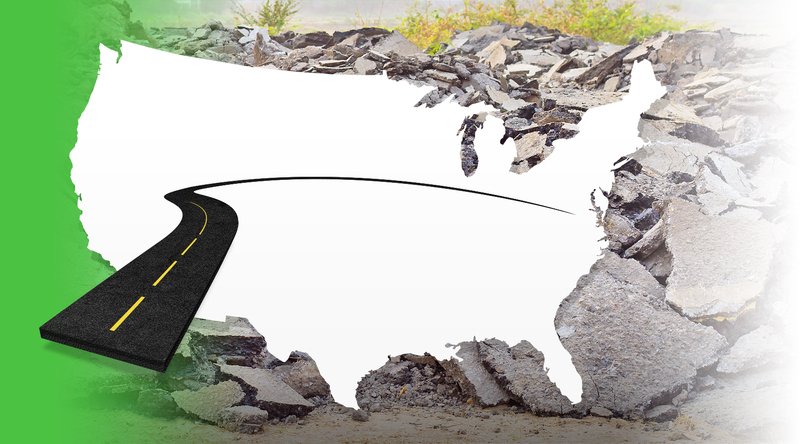 Between 80,000,000 and 100,000,000 tons of RAP are milled off US roads each year. In Virginia alone, the current RAP stockpile could pave a 12 foot lane, 6 inches deep, all the way from Virginia to Utah. Performance you can count on, Innovation you can trust. Research within the industry continues to validate the reliability, longevity, and structural equivalency of recycling and reclamation treatments. Many treatments achieve the same or higher structural numbers as conventional remove-and-replace methods. With proven technology, pavement engineers globally are re-engineering cross sections that reuse existing materials while achieving major structural gains, and saving significant time and money.